Visit Salt Spring Island in July to celebrate Canada's 151st birthday! Wear your red and white proudly at events Island wide culminating with fireworks over Ganges Harbour. Experience Island hospitality at it's finest with festivals, entertainment, special events and more throughout the month of July on Salt Spring Island! Canada Day Show & Shine | Sunday 1st | 10:00am to 3:00pm | Rainbow Road at Jackson Avenue | Celebrate Canada's 151st birthday at the 18th Annual Salt Spring Canada Day Show & Shine island style with dozens of beautiful restored cars and bikes, entertainment, food, birthday cake, and more! Canada Day Fireworks | Sunday 1st | Dusk | Enjoy fireworks over Ganges Harbour celebrating Canada's 151st birthday! Canada Day Bash with Dope Sode | Sunday 1st | 9:00pm to 1:00am | Moby's Pub: 124 Upper Ganges Road | Dance through the night and celebrate Canada with music by Dope Sode under the fireworks! July is the perfect time of year to experience the Lavender fields at Sacred Mountain Lavender (401 Musgrave Road) with acres of beautiful purple and white lavender to enjoy - stop by and enjoy self guided tours and demonstrations! You can also experience the lavender fields at Lavender & Black Aromatic Fields (256 Pringle Farm Road). Heritage Day at the Farmers' Institute | Sunday 8th | 11:00am to 3:00pm | Farmers' Institute: 351 Rainbow Road | Featuring the Bittancourt Museum, heritage activities, food, entertainment and amusements. Pitchfork Social: Three Women and The Truth | Wednesday 11th | 7:30pm to 10:30pm | Bullock Lake Farm: 360 Upper Ganges Road | $40 | Three Women and The Truth is a trio of accomplished, richly talented, multiple award winning female songwriters, Mary Gauthier, Gretchen Peters and Eliza Gilkyson, whose songs cut through the murky layers of life's complexities and bring clarity to many of the challenges we all long to make sense of. Writing from their life’s experience, these songwriters are skilled in balancing personal tales with classic underpinnings, which hint at the evocative idea that all our lives are full of events and incidents that touch on the mythic and the timeless. Keep cool this summer (and beyond!) by sampling delicious Salt Spring frozen treats including Saltspring Fruitsicles (sold at the Saturday Market and various retailers in Ganges), Salt Spring Gelato (sold at Harlans and various retailers throughout the Gulf Islands) or visiting Glad's in Ganges which offer a selection of mouthwatering ice cream flavours and freshly made waffle cones! Pitchfork Social: Darlingside with Heather Maloney | Monday 16th | 7:30pm to 10:30pm | Bullock Lake Farm: 360 Upper Ganges Road | $40 | With four distinct voices clustered around a single microphone, Darlingside effortlessly draw audiences into their lush musical world. The band’s sound, characterized by classical strings, tight vocal arrangements, bluegrass and rock instrumentation, and smart lyricism is the product of complete collaboration among the four close friends. The group has no frontman - instead, lead vocals are traded from moment to moment, and each song features a new combination of instruments and textures, pulling heavily from folk, retro-pop, barbershop and chamber music. Joining Darlingside for this very special evening is Massachusetts-based singer and songwriter Heather Maloney. Speaking of keeping cool, why not paddle, swim or snorkle the summer away! 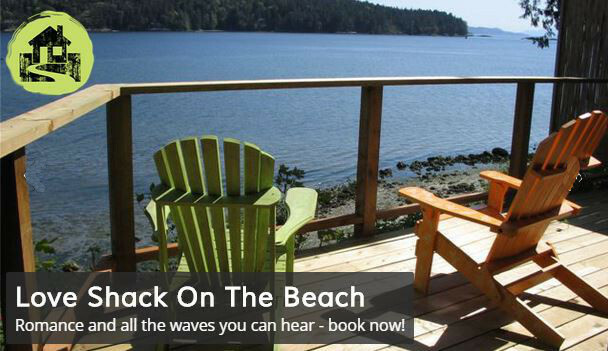 Ocean or freshwater, there are no shortage of water activities to enjoy Summer on Salt Spring. Try your hand at kayaking, canoeing or paddle boarding; swim in Salt Spring's freshwater lakes (St. Mary, Cusheon, Weston and Stowel Lakes) and explore the ocean by snorkeling or diving - look out for anemones, octopus, fish, crabs and more! Family Adventures in Nature: Day 1 | Saturday 21st | 10:00am to 1:00pm | Blackburn Lake Nature Reserve: 265 Blackburn Road | “Who Am I?” – the Flora and Fauna of Blackburn Lake. If you and your family like to play games, participate in open activities, and self-directed discovery in a natural setting, Family Adventures in Nature is for you! The coordinators use dynamic teaching techniques to create an engaging and memorable program for children ages 6 to 12 accompanied by an adult. Salt Spring Fibre Fair | Saturday 21st to Sunday 22nd | 9:00am to 4:00pm | Salt Spring Farmers' Institute: 351 Rainbow Road | $7-$12 | Explore your creative side at the Salt Spring Fibre Fair with a venodrs mall, classes, lectures, refreshments, sit and knit and a sheep to shawl contest. Bee Tour at Burgoyne Valley Community Farm | Sunday 22nd | 1:00pm to 2:30pm | Burgoyne Valley Community Farm: 2232 Fulford Ganges Road | Find out about the honey bee’s life cycle and the mysterious inner workings of the hive. Taste some local honey! Pitchfork Social: Mandolin Orange | Monday 23rd | 7:30pm to 10:30pm | Bullock Lake Farm: 360 Upper Ganges Road | $40 | For those of you lucky enough to catch a Mandolin Orange show, you know their beautifully crafted songs and their straightforward yet elegant performance style. Mandolin Orange formed in 2009 in Chapel Hill, North Carolina around the talents of singer-songwriter and multi-instrumentalist Andrew Martin and violinist/guitarist Emily Frantz. They will bring a full band for this show, in support of their new album, Blindfaller. Love music? Don't miss a night of the Tree House Cafe's Music Under the Stars - over one hundred days of music by a wide variety of artists starting May 15th! Sit under the seasonally changing 'ceiling' of branches and enjoy crooned tunes paired with an unforgettable meal packed with locally sourced ingredients! ArtSpring Treasure Fair | Thursday 19th to Saturday 21st | Auction | ArtSpring: 100 Jackson Avenue | A phenomenal community comes together each year to exemplify a passion for arts & culture thriving on Salt Spring Island and host the Treasure Fair – an entirely community supported fundraiser secures the future for Salt Spring’s largest theatre, gallery and artist workspace. Daniel Lapp & Friends | Friday 20th | 7:30pm to 9:30pm | ArtSpring: 100 Jackson Avenue | $5-$25 | Fiddler, jazz trumpeter, and singer/songwriter, Daniel Lapp performs an unforgettable show featuring the finest fiddlin’ out there. Bring your friends and enjoy the sweet sounds of music! Chamber Fest: Czech Music | Thursday 26th to Saturday 28th | 7:30pm to 9:00pm | ArtSpring: 100 Jackson Avenue | $20 - $30 | This year's Chamber Fest theme is Czech music, think of Dvorák, Martinu, Janácek, and Smetana. Enjoy a variety of musical performances celebrating Czech music starting with two nights of Young Artists’ Concerts and culminating with the Faculty Concert.